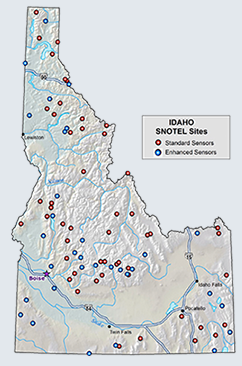 For questions call the Sandpoint Ranger District (208)263-5111. Class ratio- The required ratio of instructor to students is seven students to 1 instructor. We can accommodate up to 21 students. Class duration- Level 1 courses are 24 hours- 8 hours of classroom (2-4 hour evening classes) and 16 hours of field (2- 8 hr field days). Level 2 courses are 16 hours of classroom and 16 hours of field. 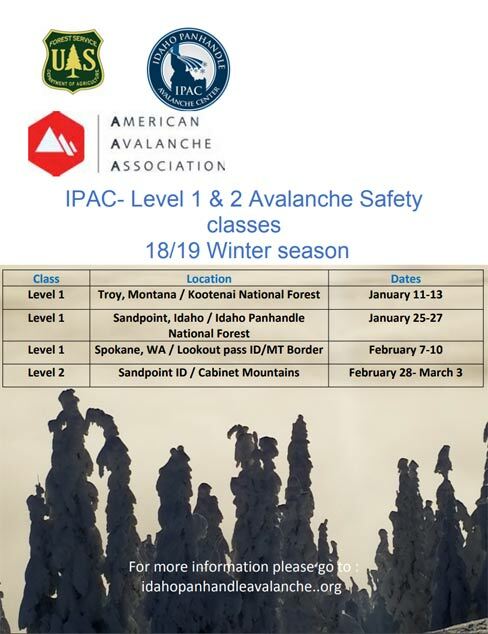 Curriculum overview- American Avalanche Association- Avalanche Fundamentals, Level 1. In this class we teach you, how to recognize avalanches, how to avoid them, the factors that result in each type, and how to become your own avalanche forecaster. We will also discuss avalanche dynamics and how to use the avalanche triangle (Snow, Weather, Terrain) to assess the stability of the snowpack. There are several tools that help with the avalanche assessment process and we will discuss their pros and cons. 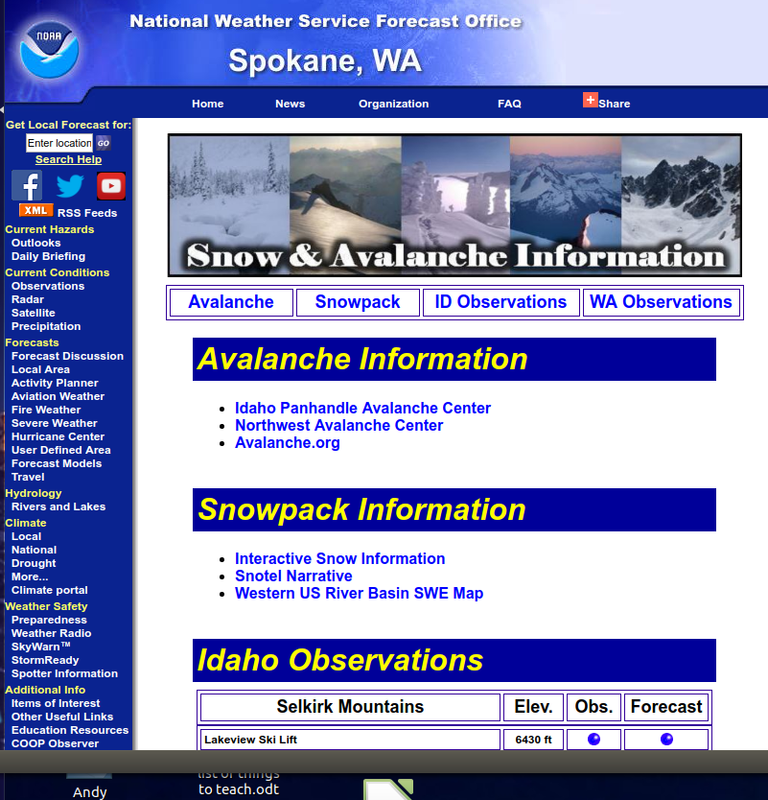 Finally we will spend a good portion of time avalanche rescue. We will talk about what to do if you get caught in an avalanche as well as practice organizing and executing an effective rescue.